How do I seek a diagnosis for Autism? Our Specialist Autism Assessment Team is able to provide an integrated and multidisciplinary approach to Autism assessments and diagnosis. 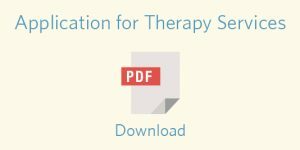 To apply for Therapy Services, including diagnostic services, please download and complete an application form then return it to us. The Autism Association of Western Australia in partnership with the University of Western Australia are collaborating to provide a private, comprehensive Autism diagnostic service for children aged 2 to 12 years. Our clinic is able to provide an integrated and multidisciplinary approach to Autism Assessments and Diagnosis. For families who have already have a comprehensive Paediatric referral, our Speech Pathologist and Clinical Psychologist can complete diagnostic assessment in one appointment. A feedback appointment within two weeks of assessment, and access as soon as possible to early intervention funding and services. Provided for families to understand the process, the diagnosis, and to link into funding, therapy services and local community support. We aim to keep costs for families to a minimum by reducing the time between assessments, and having all clinicians present in one appointment. To book an appointment for our clinic, please contact our clinic on diagnosis@autism.org.au or on (08) 9489 8900. You will then be provided with paper work to complete as well as a cost breakdown and information relating to referrals needed.